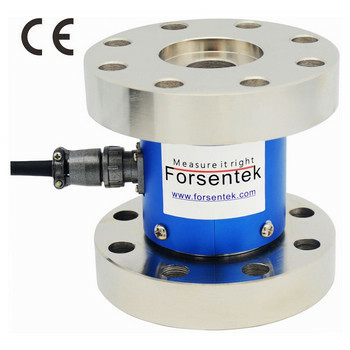 Flange to flange torque sensor FT03 is a reaction type torque transducer for measuring torque in both clockwise and counterclockwise direction.Model FT03 utilizes metal foil strain gauges which are bonded on a special machined portion of the elastic body to deliver a maximum 0.25% non-linearity over a wide measuring range from 200Nm up to 100kNm.Torque cell FT03 is designed with end flanges for bolting between shafts,axes or mounting plates where a direct drive is required.Typical applications for this type of torsion transducer are for example motor torque measurement,test bench applications,screw driver calibration,fatigue testing,twist measurement,motor dynamometers,actuator test,etc..Tailor-made service is available to meet requirements of different applications. 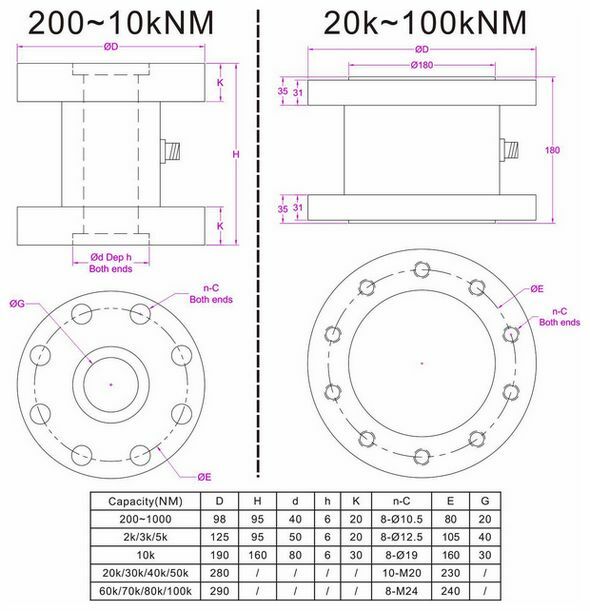 Q: What is the output signal of this torque transducer ? A: Depending on the excitation,normally between -25...+25mV proportional to the measured torque,positive signal in one load direction(Clockwise or CCW),negative signal in the other. Q: Can I have 0-5V or 0-10V output ? Q: How to get the readout of measured torque ? 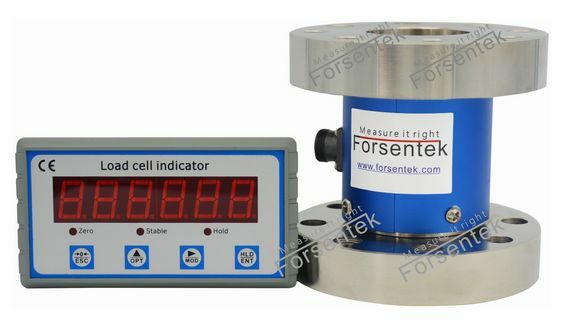 A: Torque sensor + Display unit can display the torque value in real time,the display unit can also support RS485/RS232 interface and 0-5V/0-10V/4-20mA analog output. Q: Can it be modified or customized ? A: Yes,custom design service is available.